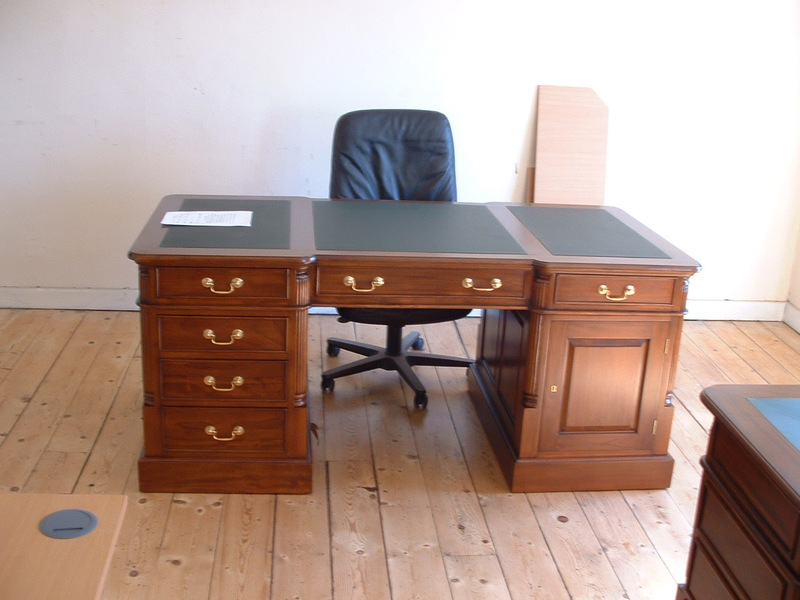 This Fine Victorian style partners desk has been made to the highest standard using timber from eco friendly forests. It has 6 drawers and a lockable press on either side, finishing off with brass handles. So it looks as good from both sides. The desk has a green leather inserts on its top and is on a plinth base. The desk comes in three sections for ease of transportation. This desk is available in 3 sizes (120cm/4ft, 150cm/5ft & 180cm/6ft).